Occasion: Party Wear, Casual Wear. Fabric: Denim Cloth. Dobby Fabric. We provide stylish and trendy Boys Designer Jeans to clients in eye catching colors, designs and sizes at budget friendly prices. 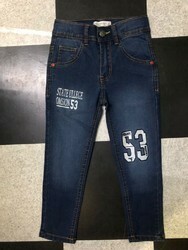 We are an eminent firm engaged in offering a quality assured array of Boys Fashion Jeans to our valued clients. The provided jeans are well-designed by skilled professionals using the qualitative fabric and latest techniques. We have emerged as one of the leading firms, engaged in offering finest collection of Stylish Boys Jeans. 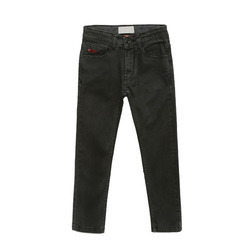 Supported by a crew of deft workers, we are engrossed in bringing forth a wide compilation of Boys Black Jeans.